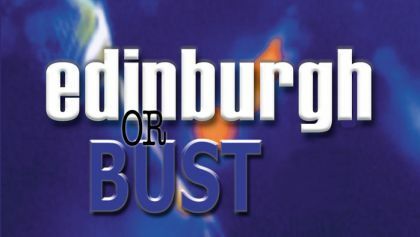 I first became aware of the Edinburgh Fringe about 15 years ago, through a tv show on Channel 4 called “Edinburgh or Bust”. It focused on the comedy festival and followed a number of performers during the led-up to and during their month in Edinburgh. Noel Fielding and Julian Barratt were there with a show called the Arctic Boosh. Simon Munnery was on it. It was the first time I came across Jason Byrne who would later perform regularly at my college during Rag Week and Freshers Week. It made the Fringe look both terrifying and amazing. I wanted to go! I’ve still never actually been to the festival, either with a show or as a punter but I am still fascinated with the it. I’m not sure I’d cope with the frantic pace, the endless flyering, the huge number of shows to see; not to mention the hills and the Scottish weather. Bryony Kimmings has some wonderful words of advice for those heading the Edinburgh this August. These include things like do not flyer your own show, don’t see any other shows during the first week and eat your greens! She is in Edinburgh this year with a show about depression called Fake It ’til You Make, which I think sounds great. You can read about the making of it here. Byrony Kimmings also gave the opening speech for this year’s festival. She talked about what the Festival means to her but also has some great tips for anyone involved in theatre, including advice on making money and making art. In the Guardian last week, Lyn Gardner talked to artists about the cost of taking a show to the festival and what you gain by doing so. Spoiler – the gain is generally not financial. Despite focusing on the money, it’s a very upbeat article that illustrates why people do it. 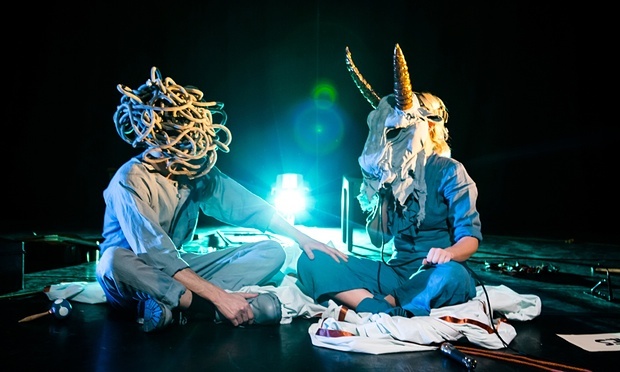 And if you’re looking for some wonderful Irish shows to see in Scotland this August, I recommend Leper and Chip, How to Keep an Alien, Horsey, and Underneath.